Were you on a CBC Our Program?Submit your Story View others' submissions. Capitol Broadcasting Company has a rich history of locally-produced programming—shows that feature the talents of local actors, producers and technicians. The programs run the gamut, from award-winning newscasts and documentaries to memorable children’s shows and entertainment programming. Whether it’s the lovable “Time for Uncle Paul” show or an episode of “Frog Hollow,” this part of the CBC archive will help you enjoy programming from days gone by. The Androgena Show was an educational program for children produced by WRAL-TV. The program aired from August 1992 to May 1996. Show producer David Creech based the series on the adventures of a puppet named Androgena and her friend Sammy Lou. The program was designed for young children, ages 5 to 9. It was entertaining, but also included social and educational themes such as self-esteem, sibling rivalry, recycling, ethnic differences, starting school and more. Bozo was a popular clown character who was licensed to television stations across the U.S. The Bozo character first appeared in the 1940s as a mascot for record company Capitol Records, but it was not until 1956 that Bozo began showing up on TV stations across the country. That’s when the creative rights to Bozo were purchased by Larry Harmon, an entrepreneur who began franchising the character to local TV stations – including WRAL – that began producing their own Bozo the Clown shows. At WRAL, Bozo was portrayed by the legendary Paul Montgomery, who went on to fame as “Uncle Paul.” Montgomery was legally blind, but each day he donned a red nose, pancake makeup and baggy costume as he portrayed America’s most famous clown. WRAL-TV ended the Bozo show in 1961 when the franchise contract became too expensive. In its place came a program titled “Time for Uncle Paul,” which propelled Montgomery to stardom. Perhaps the most famous performer to portray Bozo was Willard Scott, who later became the lovable weatherman on NBC’s Today Show. The syndicator of the Bozo franchise claims that more than 200 actors have appeared as the clown since television franchising began in 1956. Brain Game is WRAL-TV’s academic trivia program featuring ninth and tenth grade students competing in a weekly competition. The show challenges students’ knowledge in the areas of math, science, history, public affairs/current events, and the arts. WRAL began producing Brain Game in 1997 and the program’s first host was WRAL-TV Chief Meteorologist Greg Fishel. Former WRAL Traffic reporter Mark Roberts took over hosting duties in 2002. Brain Game is produced in the grand tradition of the old College Quiz Bowl shows, but includes modern production techniques such as video and audio clues for the contestants. Each week, three teams from North Carolina high schools compete against one another, with the top-scoring team capturing a spot in the year-end playoffs. The action is fast and fun, as players “buzz in” to answer questions drawn from the state’s 9th & 10th grade curricula. Contestants also answer questions about current events and popular culture. The atmosphere combines the excitement of a game show with the thrills of a high school pep rally. Brain Game is produced as an instructional/educational program for children aged 16 and under. It airs on Saturday mornings each week. The show was produced before a studio audience full of energetic children who would arrive at WRAL each day ready for their voyage into the world of television make-believe. Marks would don his skipper’s cap and perform with a Charlie McCarthy-like puppet—telling stories and jokes to keep the children entertained and under control. In its early years Cap’n Five featured a huge submarine prop that was used as the centerpiece of the show’s studio production. Eventually that prop disappeared and Marks—who was an amateur ventriloquist and seasoned performer–became the central feature of the program. Marks would entertain the kids and then introduce cartoon favorites like Popeye, Huckleberry Hound and Quick Draw McGraw. He also used an assortment of games and gimmicks, including a “Whatzit Box” that contained a secret object. If a child could guess what was inside he or she would go home with the prize. The Cap’n Five Show came to an end in 1961, but not before blazing a trail as one of the first locally-produced children’s shows on Channel 5. CentralXpress.com was a WRAL-TV educational program designed for young teens. The cast was made up of local actors. The show won a national Gabriel Award for an episode dealing with school safety. Television programming for children underwent a significant shift in the late 1970’s – early ‘80s. The days of a circus atmosphere including clown characters with wild hair and bright costumes, pie in the face humor and children marching around the studio quickly faded into history. Parents desired—and the FCC began requiring–programs that would prompt curiosity, show various cultures, explore history and provide an educational component. “Frog Hollow” was a WRAL children’s program that premiered in July, 1981 and aired each weekend through early 1985. The program was designed for preschoolers and emphasized good moral values and effective problem solving techniques as taught through music, dance and humorous situations. The setting was a country general store in the hamlet of “Frog Hollow.” Peter Anlyan auditioned and won the role as “Pete the storekeeper.” Anlyan arrived with a background in theatre from New York University and wrote many of the scripts for the show. Becky Lofland was the voice behind the puppet named “Facetia.” Becky used her background in psychology to write scripts in a manner and tone to engage young viewers. Vivian Wells played the school teacher. Betsy Blair portrayed a variety of characters and often used dance and mime in her skits. Michael Evans played several characters including the “Lone Trucker,” who would stop by the general store to chat and sing with Pete and help solve various dilemmas with the other characters. Special guest appearances were made by local doctors, dentists, dieticians, musicians, and actors portraying various historic figures. Julie Wick served as the first producer of Frog Hollow, followed by Lisa Cline. “Frog Hollow” won the 1984 National Iris Award presented by the National Association of Television Program Executives. The winning entry was produced by Lisa Cline and written by Peter Anlyan. The Iris Award is considered one of the most prestigious awards in television programming. The award signified “Frog Hollow” as that year’s best children’s program in the nation’s mid-sized television markets. Romper Room was a syndicated children’s program that began in Baltimore in 1953 and ran on WRAL-TV in the late 1950s. The program aired each weekday and featured a teacher leading a small class of preschoolers through games, exercises, songs and other lessons that sought to teach good manners and citizenship. WRAL-TV’s first Romper Room “teacher” was Jo Ann Federspiel, a former classroom educator who came to Raleigh from South Carolina. “Miss Jo Ann” joined the WRAL staff in the spring of 1958. The legendary Paul Montgomery provided musical accompaniment for the early Romper Room classes on Channel 5. Montgomery went on to fame as the host of the “Time for Uncle Paul” show. He was also a noted jazz musician. “Smart Start Kids” is an award-winning WRAL-TV children’s program designed for 3-to-5 year olds and their families. The program was produced in cooperation with the NC Partnership for Children/Smart Start, North Carolina’s nationally-recognized initiative to ensure that every child reaches his or her potential and is prepared to succeed in a global community. In each of the program’s 74 episodes, local children share their “news,” explore their world and talk about their experiences. Each week “Willa,” host of Smart Start Kids, and the children engage in fun activities that promote healthy child development and serve as positive examples for viewers. Produced in a magazine-style format, the children interact with “Willa” and travel to fun, educational places across the state. Together they experience trips to new geographical locations, learn from hands-on activities, and create their own memorable stories and music. Young viewers were also able to participate from home or a childcare center by calling the Smart Start toll-free phone number to share their own exciting, personal stories such as a first trip to the beach or the arrival of a new puppy. This toll-free phone number provided access for all North Carolina children. WRAL produced the program from 2002-2011. It won the prestigious Mid-South Regional Emmy Award in the Children’s Educational Program category in 2004 and 2009. The Smart Start Kids program is still broadcast in syndication each week on WRAL-TV and WILM-TV in Wilmington. It’s also made available to UNC-TV for statewide distribution. Sparks was a WRAL children’s program that premiered in 1985 and aired Saturday mornings through 1990. The half-hour fantasy/drama program primarily engaged older elementary school children and pre-teens. The stories revolved around a mysterious time machine that could transport the characters into the past or future to resolve conflicts and/or provide insight and better understanding of specific time periods. Sparks was set in a mythical North Carolina town in the time of the show’s production- the mid to late 1980s. The ongoing story line is rooted in a fictitious incident that occurred on June 17, 1955. The lead character Sam Blade was a government scientist working on a top secret project, code name “Sparks.” Blade invented a time machine and then transported himself into the future. During his trip he discovered that the government had ulterior motives for the machine. Upon his return, Blade realized the need to hide the machine as well as himself. Meanwhile the government is trying to find him. Actor Mark J. Miller portrayed Sam Blade. Junius Fogg, Blade’s best friend, is a small-appliance repairman. Even though Blade and Fogg are the same age, Blade’s time travel of thirty years into the future put him into time limbo – he did not age. Consequently the gray-haired Fogg is now thirty years older than Blade. This became a comical source of conflicts within the various plots of the show. The time machine is now safely and secretly stashed away in a back-room at Fogg’s Fix-It Shop. Actor Mark Cath portrayed Junius Fogg. The youth aspect of Sparks was introduced through Fogg’s grandchildren, Tory and Zachary, and their friends. The script writers tackled dilemmas and issues that confronted them. Many of these concerns were worked out in the malt shop setting called “Shades” – a local hangout for youth. Topics ranged from cheating, bullying, lying, stealing, name-calling, peer-pressure, etc. Young actress Meredith Nicolson played Tory and Joshua Bo Lozoff played the role of Zachary. Kent Faulcon portrayed Nathan, Zach’s best friend. Later in the series Steve Joe joined the cast playing Nick and Meg Plunkett played his girlfriend, Jennifer. The time travel sequences transported the various characters back in time to meet literary characters like Ichabod Crane from Washington Irving’s short story, “The Legend of Sleepy Hollow” and historical figures including Harry Houdini and Blackbeard the Pirate, to name a few. Examination of historical periods ranged from the “Trail of Tears” of the Cherokee Indians, gold mining in the 1800’s, slavery, and the pony express mail delivery. Sparks was created and produced by Peter Anlyan. Cindy Carter wrote many of the scripts. In the latter years Sparks was produced by Dan Oliver, who also served as the director/photographer on segments produced away from the studio. Sparks received a national Iris award in 1991, as well as several Parents’ Choice Awards and the Service to Children Television Award from the National Association of Broadcasters. “Time for Uncle Paul” was the most enduring and beloved children’s program in WRAL-TV history. 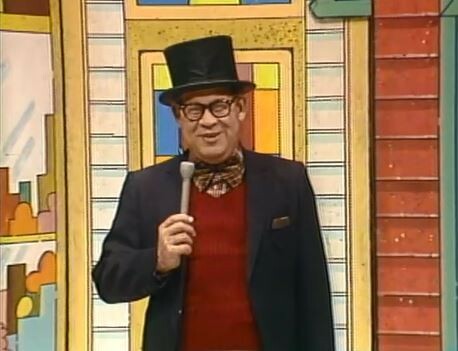 The show aired weekday mornings from 1961-1981 and featured the legendary Paul Montgomery as “Uncle Paul” — a jovial studio ringmaster who delighted pre-school children and adults alike with a simple formula of fun and games. Each day Montgomery donned a top hat, bow-tie and tattered tails to entertain youngsters and adults alike. His repertoire included stunts, puppets, cartoons and appearances from a variety of off-beat characters. The highlight of every show came when Uncle Paul would declare “Time to March!” and the kids would parade around the studio, often accompanied by Montgomery playing piano or organ. Thousands of North Carolina grownups recall how they “marched with Uncle Paul” and most consider it one of their fondest childhood memories. “Time For Uncle Paul” was recorded live before a studio audience and aired the next day so the children could see themselves on television. Uncle Paul was the star, but he was ably assisted by the lovable “Aunt Millie,” who off-camera was Mildred Bradley, the secretary of WRAL’s film department. Uncle Paul interacted with a cast of strange characters, including “Crawford the Lion,” a puppet manipulated by WRAL Art Director Art Anderson. Later, voice-actor and puppeteer Rowell Gormon joined the program and created zany characters such as Stripes the Skunk; a “hepcat” named Zoot; Malcolm the Frog; and Woody the Wood Gremlin. “Time for Uncle Paul” was a program created out of necessity; WRAL-TV had broadcast the “Bozo the Clown” cartoon show during the 1960-’61 season, but decided not to renew the expensive licensing contract when it ran out. Station managers still wanted a children’s program in the time period, however, so they turned to the multi-talented Montgomery, and the result was North Carolina television history. Uncle Paul’s twenty-year run on WRAL-TV came to an end in 1981. The Federal Communications Commission was beginning to pressure television stations to include educational elements in children’s programming. When WRAL managers asked Montgomery to give the show a more informational tone, he balked, saying children needed to have fun as well as learn. Rather than change his beloved program, Montgomery decided to voluntarily end the show and retire. Following his television days, Paul Montgomery continued a stellar career as a renowned jazz musician and composer. He died on Christmas Eve 2002 at the age of 78. Country Morning was an early-morning program on WRAL-TV in the 1950s and 60s. Country Morning was one of many WRAL morning shows from the early days of Channel 5. Other morning shows included Daybreak, Aspect and Good Morning 5 Country. “Daybreak” was a morning entertainment program that aired on WRAL-TV in the late 50s and early 60s. Popular radio and recording personality Mike Hight was one of the band leaders on the show, but the best-known performer was Homer Briarhopper, who appeared on the show with his “Daybreak Gang” for many years. Daybreak was a live studio program that aired each weekday at 6 a.m.
Dialing for Dollars was a television and radio program format that allowed attentive viewers and listeners to win money and prizes if they knew the correct answer to a question posed by the program host. At WRAL-TV, Dialing for Dollars programming was hosted primarily by Bob DeBardelaben, who went on to fame as the primary weather anchor on the Action News 5 broadcasts. The Dialing for Dollars game was often conducted during a movie. During periodic commercial breaks, the host would appear to provide the day’s winning information and then make phone calls to random numbers in the region. If the person answering the phone was watching the program and knew the correct answer—the prize was won. DeBardelaben gained early popularity as the Dialing for Dollars host, appearing in the studio with a telephone and large prize wheel. He hosted the program until 1976, when he moved into WRAL’s weather department full time. “Good Morning, Charlie!” was an entertainment program on WRAL-TV featuring television newcomer Charlie Gaddy. Gaddy joined WRAL-TV in September 1970 after gaining popularity on WPTF Radio’s “Ask Your Neighbor” program. The morning entertainment show was created to showcase his gift for conversation and singing abilities. The program featured Charlie taking phone calls from viewers interspersed with interviews and regular entertainment from the host and visiting performers. Charlie was a talented vocalist and the program often featured him singing, sometimes with performer Joyce Hawley. It was a half-hour live program airing at 9:00 a.m. each weekday. PM Magazine was a unique programming concept that spread across the country in the late 70s and early 80s. As the name implies, PM was a “magazine” show that featured local hosts introducing stories produced at the local and national level. The story topics were uplifting, interesting, and fun, while the hosts were friendly and entertaining. For WRAL-TV, the mix of local co-hosts appearing in quintessential North Carolina locations proved to be a hit with viewers. PM Magazine aired on WRAL from 1980 to 1987. The show was hosted originally by Susan Dahlin and Tom McNamara. When Tom left to anchor news in another city, Rick Williams, a WRAL news reporter, was tapped to join Susan. WRAL Program Director Will Davis spearheaded the show’s launch before moving into other management roles at WRAL. Phyllis Parish served as story producer, associate producer, and later co-producer with Dahlin for the last two years of the run. A number of talented photographers worked on the show, including Jim Colman, Steve Craddock and John Avery. One of the secrets to PM’s success was the format. It was developed by KPIX-TV in San Francisco in 1976 and was franchised by Group W Television in 1978. PM Magazine was essentially a story-sharing cooperative made up of member stations across the country. Group W developed theme music and graphics and provided two six-minute story segments for all the stations to use each weekday. That formula ensured that no matter where the program aired, it would have a high measure of quality and style. The only requirement the local station needed to provide was its own co-hosts plus one local feature for the cooperative each week. If a station had more production resources, it could substitute local features for national features any time. Everything was shot on location, and the blend of local and national stories gave viewers an insight into interesting people and places across the country. WRAL’s PM Magazine unit sometimes traveled out of state and even out of the country to find stories. The PM team visited the Florida Keys to swim with the dolphins and even flew across the Atlantic to produce features on the town of Durham, England. Where are former hosts Susan, Tom, and Rick now? After PM Magazine ended its run, Susan Dahlin remained with WRAL-TV as a producer and executive producer of documentaries and special projects. Now she is a successful local artist and entrepreneur. Tom McNamara moved into television news and is a news anchor at KVOA in Tucson, Arizona. Rick Williams returned to his journalistic roots in 1988 when he joined WPVI in Philadelphia. Rick was inducted into the Broadcast Pioneers of Philadelphia in 2010. Pops in the Park is an annual Labor Day concert that quickly became one of Capitol Broadcasting Company’s signature community projects – a spectacular evening of music that proved perfect for television and radio. In 1981, WRAL-TV and WRAL-FM formed a partnership with The North Carolina Symphony and began broadcasting the concert live on location. That first broadcast originated from Raleigh’s Pullen Park, but the event was moved the next year to a larger outdoor venue at Meredith College’s McIver Amphitheatre. The live performances were simulcast in stereo on WRAL-FM, so audio quality was of extreme importance. WRAL producers and engineers spent weeks perfecting microphone placements, sound levels, camera-angles and in-depth knowledge of the musical score that ultimately yielded a first-rate broadcast. Over the years the concerts have grown in popularity and attendance climbed steadily; by the year 2000, an estimated 40,000 people attended the concert. Many thousands who couldn’t attend the events in person watched on Channel 5 and listened on WRAL-FM. WRAL news anchors and personalities have routinely hosted the festivities and guest musicians from around the state were given the opportunity to perform with the symphony, including WRAL’s resident composer/musician Bill Leslie. Various attractions for children were added over time, including soccer contests, pony rides, coloring books, free balloons and registration for the safety-oriented “Ident-a-Kid” program. Each and every year, Pops in the Park concludes with Tchaikovsky’s “1812 Overture” followed by a rousing rendition of “Stars and Stripes Forever,” complete with fireworks and simulated cannon-fire. It’s always a crowd pleaser that leaves everyone smiling. In 2001, a final change of venue moved the concert from Meredith College to Cary’s Koka Booth Theater. The NC Symphony enjoys its Summer Concert Series at the Booth Theater to this day. Teenage Frolics was a WRAL-TV music and dance program that is thought to be the country’s first regularly-scheduled television program hosted by an African-American. The weekly program debuted on Channel 5 in 1958 and ran until 1982. It was hosted by J.D. Lewis, a WRAL radio and television personality who broke racial barriers and gained widespread popularity during a long career at Capitol Broadcasting Company. Teenage Frolics aired live from the WRAL-TV studios at noon every Saturday. The show featured a studio audience comprised of African-American teenagers who sometimes traveled up to 100 miles just to take part. Former audience members say they practiced their moves all week to be ready to impress fellow dancers and the viewers at home. Teenage Frolics was best known for its current music and dance. The program featured a house band led by local musician Irving Fuller, and on occasion nationally-known recording stars would drop by to promote their latest records. The show’s free-flowing live format also gave J.D. Lewis a platform for interviews with community leaders and nationally-known entertainers such as Lou Rawls and Isaac Hayes. Teenage Frolics is often compared to “Soul Train,” a nationally-syndicated dance program featuring legendary host Don Cornelius. While Soul Train gained fame on a national level, it didn’t debut until 1971 — thirteen years after Teenage Frolics took to the air on WRAL-TV Channel 5. Tempus Fugit, or “time flies” in Latin, was a radio and television show created by former WRAL President and General Manager Fred Fletcher. The radio show began on WRAL-AM around 1940 when Fletcher – tired of having to fill in for morning announcers who failed to show up – took over the morning announcing shift at the station. Fletcher entertained listeners with a variety of regular features, news, weather, music and fun. He also created special call-in segments like “Lost and Found” and “Trading Post” where listeners would swap items in an on-air exchange program. The best-known segment on Tempus Fugit was the reading of a fairy tale each morning. The idea came about in late 1941 to entice children to listen to the show in hopes of luring their parents to the radio as well. Months after WRAL-TV went on the air in 1956, Fletcher moved his Tempus Fugit Show to television, where it lasted for several more years. The title of the show became the title of Fletcher’s autobiography, which was published in 1990. “Light for Living” was a long-running series of devotional messages presented on WRAL-TV by Raleigh minister Jimmy Morriss. Reverend Morriss was pastor at St. John’s Baptist Church. In the 1970s he also hosted an inspirational program called “Light Unto My Path” that aired Sunday mornings on Channel 5. The Sister Gary Spiritual Program was a gospel music show on WRAL-FM that broke racial barriers and laid the groundwork for religious programs that would follow. The Sister Gary Program premiered as a weekly broadcast on WRAL-FM in in the 1940s. Host Mabel Gary Philpot, or “Sister Gary” as she was known in the pulpit, was the first African-American to host a regularly-scheduled radio show in Raleigh. Sister Gary came to Raleigh in 1936 to preach at Grace Chapel AME Zion Church in Raleigh. Her powerful preaching drew the attention of WRAL General Manager Fred Fletcher, who recognized her potential as a radio performer. Fletcher signed her up and the show began building an impressive following. After more than two decades of success on radio, “The Sister Gary Spiritual Program” changed venues and moved over to WRAL-TV in 1969. The new television program aired every Sunday morning from 7:30 – 8:00 and featured Gary’s sister Sandra Byrd and the Wesleyan TV Choir. The transition to television introduced Sister Gary to a larger audience and firmly established her place in the history of gospel music in North Carolina. Following her death, Sister Gary’s television program evolved into WRAL-TV’s award-winning “Spiritual Awakening.” That gospel music program carries on to this day and is a weekly reminder of the trail blazed by Sister Mabel Gary Philpot. Spiritual Awakening is a locally-produced gospel music program that evolved out of the legendary “Sister Gary Spiritual Program.” It is one of the oldest continuously-running gospel music shows on the East Coast. The Sister Gary program began on WRAL Radio in 1942 and made its television debut on WRAL in 1969. After host Mabel Gary died in 1978, the program title changed to Spiritual Awakening, with hosting responsibilities going to Gary’s sister–Sandra Byrd. In 1989, Ms. Byrd passed the hosting baton to her son, Otis Byrd, a local pastor. Reverend Byrd hosted for more than a decade before giving way to Sonja Hamm, who hosted the show for some five years before turning it over to current host Terence Jenkins in late 2005. Spiritual Awakening has been produced since 1990 by Dona Anderson–a former programming assistant at WRAL-TV. Dona regularly schedules top regional and national talent to perform and minister to a weekly audience on WRAL-TV and sister station WRAZ-TV. The show focuses primarily on gospel music, but it has also featured segments on spiritual dance and breast-health awareness. The award winning program can be seen in parts of North Carolina, South Carolina and Virginia. Spiritual Awakening has won the Torchbearers Award for Excellence, presented by the Raleigh/Triangle Chapter of the Gospel Music Workshop of America and also a Community Service Award presented by the Capital City Academy in Raleigh. Farm Director pouring Pepsi Cola for youngster at tobacco barn as the crop comes in from the field. Famed CBC Farm Director Ray Wilkinson tells a story on the chicken circuit. CBC Farm Director Ray Wilkinson prepares to leave Fremont after recording a segment for the news. Radio remote coverage of Watermelon Day festivities at the NC Farmers Market. Coverage of elections and the political process has always been one of the hallmarks of Capitol Broadcasting Company. CBC journalists have made political news a priority on the company’s radio and television stations plus the internet. “Femme Fare—WRAL-TV’s Magazine of the Air for the Modern Woman” was a pioneering weekday program on WRAL-TV from 1963 to 1977. The program was hosted by WRAL Woman’s Director Bette Elliott and featured a wide range of news and features with women viewers in mind. Elliott was a veteran newspaper reporter and columnist who quickly found a following as host of the program. Femme Fare was produced every weekday in the WRAL-TV studios. The show included regular features on cooking, sewing and flower arranging, but also delved into serious topics such as women’s health, business issues, the arts and culture. Elliott used the traditional kitchen set for some segments, but branched out to host full fashion shows and other segments on location outside the studio. She would travel to New York City regularly to get an early look at the fashions of the day, producing reports that would give Triangle viewers insight on the coming trends. The Femme Fare program earned several major honors; it claimed the TV-Radio Mirror Award for outstanding programming in 1969 and then again in 1971. When major events take place, CBC is there to provide special coverage that goes beyond the typical newscast. From inaugurations to statewide anniversaries and celebrations, CBC brought the story home to listeners and viewers. News programming is at the very heart of Capitol Broadcasting’s mission statement. CBC Founder A.J. Fletcher promised that his company would provide news and information “without bias or favor,” and CBC news operations have followed that guideline as a core value. Over the last six decades WRAL-TV News has distinguished itself as one of the premier television news operations in the country. Central to the success of WRAL-TV News is its award-winning staff of journalists, who report and produce some of the best television newscasts in the nation. Good news organizations cover more than breaking news; they cover issues and themes that affect citizens over long periods of time. Ongoing coverage has always been a strength of CBC newsrooms and that commitment has resulted in local, regional and national awards. CBC’s dedication to the public interest is on display through its timely public affairs programming. Regularly-scheduled programs on television and radio examine serious issues that affect the lives of citizens in the community. Over the years CBC has also offered television and radio commentary on important issues of the day. By taking a stand, CBC sought to heighten awareness and spark lively debate over issues of public concern. The Tar Heel Traveler is the name of a feature reporting segment that has appeared in WRAL-TV newscast since the 1970s. Like other local television feature franchises, the Tar Heel Traveler was inspired by Charles Kuralt’s “On the Road” reports that premiered on CBS in 1967. Kuralt traveled the nation’s byways in search of interesting characters, places and things, and it wasn’t long before similar reports showed up on local television stations. Channel 5 launched the Tar Heel Traveler in the 1970s and seven reporters have produced stories for the franchise through the years. John Pronk was the first, followed by Skip Cilley, Mike Stevens, Bill Draper, Bill Leslie and Les Boney. WRAL’s Scott Mason assumed the Traveler mantle in 2007 and he has produced more than 1,300 Tar Heel Traveler features in the years since. WRAL-TV is one of the few stations in America that still produces news documentaries on a regular basis. The station’s fulltime documentary staff turns out long-form programs on a variety of important issues, continuing a longtime commitment to in-depth journalism. WRAL-FM announcer Ned Attayek is better known by his nickname, “Tack,” given to him by his college buddies who were tired of mispronouncing Ned’s last name. The nickname stuck. Tack is a “Johnston County boy” from eastern North Carolina. He always wanted to be a radio guy. Like many of those who were teenagers in the decade of the ‘60s, Tack listened to the top radio stations and identified with big name disc jockeys of that era. Watch and listen to Tack tell behind-the-scenes stories while working in radio and as a courtside basketball announcer at the NC State home games. Tack still works at WRAL-FM, but has gone high tech as the WRAL-FM Web/Computer Network Supervisor. Enjoy this interview with Tack conducted by John Harris, Director of CBC Special Projects. Famous Bob Inskeep enjoying a moment with his sidekick puppet Zoot and voice actor Rowell Gormon. Rowell Gormon is the multi-talented, creative genius who produced award winning commercials for WRAL-FM and served as the Production Manager for many years. Rowell might be best known for creating a puppet named “Zoot” who became a side-kick for FBI – Famous Bob Inskeep, during the morning radio show that aired in the late 70s and 80s. Rowell also provided various puppet characters for The Uncle Paul Show. He acted in an episode of “Sparks” that aired in July 1988. Rowell continues to act and provides voices for top name brand companies and is a brilliant copy writer. Rowell is interviewed by John Harris, Corporate Director of Special Projects. Listen to the voices of children, parents, and those who made a donation to Duke Children’s Hospital. Listen to this very moving story told by a nurse at Duke Children’s Hospital. Explorer Post 5 was established in 1969 and is associated with the Learning for Life program, a part of the Occoneechee Council of Boy Scouts of America in Raleigh. Powell Kidd, a WRAL engineer and volunteer Boy Scout leader, started Post 5 for high school age boys and girls to apply the skills learned in scouting to a possible career in broadcasting. Post 5 and now Post 50 are still going strong today. Some of CBC’s most memorable programming was created to publicize new people, new technology and new ideas inside the company’s divisions. CBC has always produced some of the best, most cutting-edge promotions in the broadcast industry. Here is a sample from the archive. “Meat: The Raw Facts” was a series of reports on the itegrity of meat served in local restaurants. Over the years WRAL-TV aired and produced weekly programs for some of the ACC’s best-known football and basketball coaches, including Norm Sloan, Jim Valvano and Lou Holtz of NC State plus Mike Krzyzewski, Bill Foster, Steve Sloan and Mike McGee of Duke. The weekly shows were usually recorded late Saturday night or very early Sunday so they could be distributed in time for other network stations around the region to put them on the air. WRAL was responsible for producing and distributing the shows to the network. WRAL sports veteran Nick Pond, News Anchor Charlie Gaddy, and Hall of Fame sportscaster Tom Suiter all hosted ACC coaches shows at some point. With the success of the ACC sports teams in the Triangle, WRAL-TV always had opportunities to provide special coverage. Whether it was UNC, Duke or State chasing a national basketball championship or a look back at one of the area’s fabled arenas, WRAL’s college sports specials will bring back memories. WRAL-TV’s sportscasters have always showcased high school athletics in a big way. Whether it’s Tom Suiter’s trademark “Football Friday” highlight show or the weekly “Extra Effort Award,” high school athletes get plenty of attention and support on Channel 5. As the owners of the Durham Bulls, Capitol Broadcasting Company knows what it takes to play ball with the professionals. CBC’s Capitol Sports Radio group is home to the play-by-play broadcasts of the Carolina Hurricanes and the Carolina Panthers, and CBC produces and broadcasts Durham Bulls home games all season long on WRAZ-TV’s dot-two digital channel. The names read like a “Who’s Who” among North Carolina’s legendary sports announcers. From Ray Reeve and Bill Currie to Nick Pond, Rich Brenner and Tom Suiter – WRAL’s broadcast history is filled with sportscasters who had a unique style that made sports come alive to their listeners and viewers. One of the most popular and long-lasting programs in WRAL-TV history was Mid-Atlantic Championship Wrestling. The matches were recorded every Wednesday night in WRAL’s Studio A and were televised on Channel 5 on Saturdays. WRAL-TV was the main studio home for the wrestling productions that were syndicated throughout the region by Jim Crockett Promotions. Raleigh promoter Joe Murnick coordinated the Raleigh events and is also remembered as the ring announcer for many of the WRAL matches in the 1970s. The weekly influx of wrestlers and their entourages made for interesting times at WRAL-TV. Colorful personalities like Wahoo McDaniel, Black Jack Mulligan and Ric Flair made WRAL home every Wednesday afternoon–recording promos, playing cards, wandering the halls and occasionally getting into shouting matches that brought a carnival atmosphere to the station. By and large the wrestlers were a genial group, but when the matches got underway in front of hundreds of screaming fans in Studio A – it was all business. The first known wrestling program at WRAL-TV was recorded on January 31, 1959. The matches ran continuously for more than two decades before coming to an end July 29, 1981. Did you appear on Captain 5? Work with Herb Marks? Or just love watching the show? We’d love for you to add your story to the CBC History collection. Click “Submit Your Story” below to find out how.